Residential wind turbines present a green, renewable, alternate energy method of production and an opportunity for homeowners to reduce their dependence on national or local electrical power grid. Alternative residential green energy sources are rapidly gaining in popularity. Of late there has been ample legal action between homeowners and their neighborhood associations regarding the installation of producing electricity by both residential wind turbines and solar energy panels (also called PV or PhotoVoltaic). But theres a new trend of utility companies building wind turbine farms to get away from fossil fuels. The Pickens Plan also plans to get into this game. In sight of this development, many homeowners are considering the viability of installing their own. Read on for some considerations. 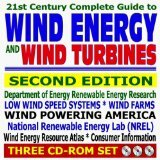 Can my Power Generation Company Prohibit me from Installing a Turbine? In a nutshell, no. At least not in the USA, since there are federal laws in on the books to protect citizens from utility companies. Specifically, it falls under the Public Utility Regulatory Policies Act of 1978, (PURPA). This effectively protects citizens who seek to operate electricity producing systems of less than 80 MW. This is more than sufficient for most residential applications. Furthermore, here in the US, when wind turbine-produced electrical power exceeds home requirements, the excess electricity goes back onto the power grid. The tables now turned, the utility company must pay the homeowner. The caveat is that the price they will pay is less than what they charge homeowners. Theres nothing like having a lobbyist in your corner when these federal regulations are being drafted. 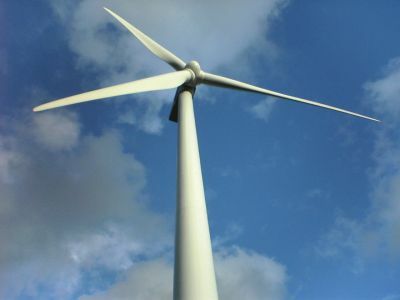 Can a Small-Size Turbine Lower Utility Bills? Of course! Even though it differs in each case, the average homeowner should expect to lower the average utility bill by 50 to 90 percent. The biggest factor (other than the unit) is the average local wind speed. Logically, the amount of power produced depends on RPMs. What Should I Take into Consideration When Selecting a Wind Turbines Size? That is dependent on your homes energy usage calculation plus your locations average wind speed. For example, a residence that uses 780 kWh per month, or about 9,400 kilowatt-hours (kWh) of electricity per year, requires a 5 to 15 kilowatt turbine, depending on wind speed. Ive Heard that a Turbine Makes Enough Noise to Make Me Crazy. Is this True? No. The American Wind Energy Association (AWEA) has compared the sound produced to that of the typical clothes washing machine. Usually, this will not represent a problem, especially when the turbine tower is located away from the home. Why are the Windmill Towers so High? Youll find 2 basic varieties of towers; the first is the hinged tower. This configuration makes periodic wind turbine maintenance less problematic. Next is the guyed lattice tower. Its less expensive because of its simpler construction. Both types vary in height between 80 to 100 feet (24.38 to 30.38 meters). Why do they need to be so tall? Well, despite what some will tell you, its not to insulate the home occupants from the noise weve already discussed. Its actually an effort to raise it above the natural turbulence caused by obstacles on the ground and trees. Generally speaking, the higher the elevation of the blades, the stronger and more consistent the wind quality will be. How Much can I Expect to Pay to Install this Alternative Energy Equipment? The final cost depends on the units Watt capability, the manufacturer's service agreement, and whether the homeowner does the installation or decides to Find reliable contractors and doctors when you join Angie’s List today to hire a contractor. Use promo code LOCAL to save 15%. . Typically, the price tag can vary between $6,000 USD and $22,000 USD. So obviously, the amount of time it takes to make the system pay for itself varies. What Wiring Changes will Have to be Made to my Home? The modifications to your homes electrical wiring system are not as drastic as might be expected. In most scenarios, the electricity company will install a dedicated electrical meter so they can monitor both systems. Other than that, just having a wind turbine on your property increases the value of your property.